Today is my first day of camp. I have the same feelings I did when I was a little kid going off to camp at the beginning of the summer. It’s only been about twenty minutes since I have been here, and I already feel overwhelmed. Not the run-for-the-hills kind of overwhelmed but the kind where you are very excited and nervous for what’s to come. One of the groups I spent time with was with was singing “Hakuna Matata,” and even though they were singing in Hebrew I found myself singing along (in my head in English). For me, being around and hearing something foreign and yet so familiar, like that well-known song, was very comforting. Watching all the kids energetically bounce around reminds me of when I went to camp. That made me so happy because once again I felt as though I could relate even though I could not understand anything that was being said. What was even more comforting was just how friendly everyone was. Almost half of the staff and campers speak some level of English but even those that couldn’t, still made an effort to come over and make me feel welcomed. I am a very shy person when it comes to meeting people, as well as being in large groups but the friendly atmosphere helped me get through it. The best part of my day was being in one these blow up plastic balls called “Zorbs”. At first it was just me and the other interns but after a few minutes all these campers came rushing in. They just started pushing me around, and then the staff joined in and it was really fun interacting with everyone in such a friendly manner. Overall I had a really good day. I was internally freaking out most of the day trying to find my place and see where I fit in within the camp. I think after a few days I will start to feel more comfortable, and really get to enjoy Camp Shutaf for what it is – a really fun and inclusive environment. Within one day, I already feel like a changed person. and I can’t wait to see what the rest of these three weeks will hold! 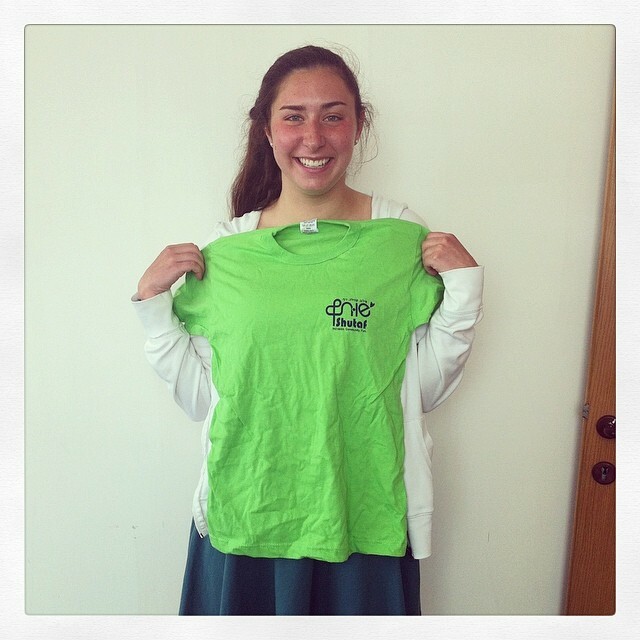 Stephanie Reynolds is currently a summer intern at Shutaf. 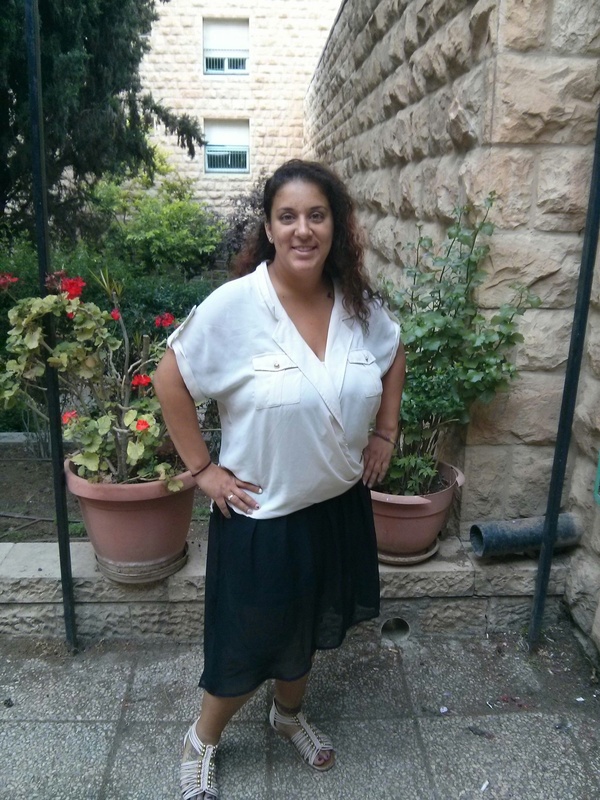 A Toronto native, she is in Israel on the ‘Real Life Israel,’ summer program. Jenn interned at Shutaf during 2013-2014 academic year. 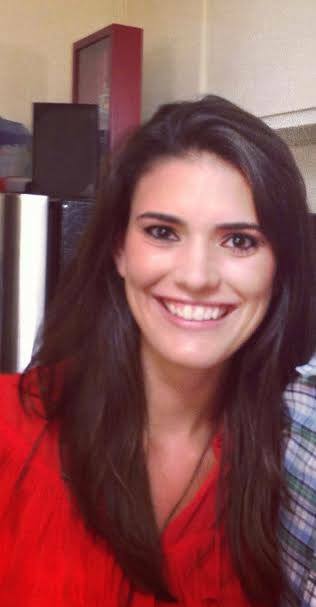 Originally from LA, she lived in Jerusalem while studying in Hebrew University’s Non-Profit Management and Leadership MA program. Thank you, Jenn! Prior to my first visit to Shutaf’s afterschool program I was warned that most of the kids would speak little to no English, however with two months of ulpan under my belt, I was confident that I would be able to communicate with at least some of them. Boy was I wrong! When I arrived at the program, the kids were all very warm and welcoming, but once they started talking, I seemed to have forgotten all of the Hebrew that I had learned! A young girl immediately approached me to investigate who I was and what I was doing at Shutaf. A staff member not only had to translate for me, but also respond on my behalf. I was not as fortunate other times that afternoon and often found myself frantically searching for help when a child attempted to communicate with me. I was dependent entirely on the English-speaking staff. Not being able to communicate with the kids made me feel useless and completely isolated from the very people I was there to interact with. As the afternoon progressed, many of the kids seemed to pick up on my limitation or special need, if you will. One boy took my hand and brought me over to where lunch was being served and merely pointed to the items that he wanted and required my help getting. Another girl, who insisted that we work on her art piece together, simply communicated by passing me a crayon and pointing at her drawing. I knew I correctly interpreted her actions when a huge grin spread across her face after I began adding a little jewelry to the ladies in her drawing! She clearly had not yet learned that every woman is in need of a little bling and I was happy to share such an important life lesson with her! After our artwork was complete, another group of kids gestured for me to join them on the floor for a card game that I was unfamiliar with. They demonstrated first how to play and then handed me the cards so that I could have a turn. They were patient when I didn’t catch on to some of the rules immediately and persistent in trying to find alternative ways to explain something when I didn’t understand their hand mimes the first time. Similar instances occurred throughout the remainder of the afternoon and, by the end of the program, I was baffled as to where the time went! I had never thought of myself as being a person who has a disability, but reflecting back on my first visit to Shutaf, I now see that I was. Yes, it was only temporary and, in the realm of disabilities, doesn’t even begin to compare, but it did give me a quick glimpse into what many of these kids experience on a daily basis and may continue to throughout their lives. The initial feelings of isolation, exclusion, frustration, and purposelessness that endured when I arrived at Shutaf are typical for a person who has a disability. Although adjusting to this new environment and impairment of mine was difficult and uncomfortable at first, having the kids at Shutaf accept and include me despite my differences, made a huge impact and had me leaving with a sense of purpose. This outcome, I believe, can be attributed to the amazing, inclusive environment that the Shutaf staff has cultivated. Above all else, Shutaf has taught me to value people’s differences by understanding that everyone has something worth contributing. I was lucky enough to be in an environment with kids who are thoughtful, tolerant, kind, and patient, and also embrace this very notion. Unfortunately, this is not always the case. It is important to remember that although you may not know now what it feels like to be a person who has a disability, likely, at some point in your life, you will (World Health Organization). Keep this in mind before you decide to brush off someone who might be a little bit different from you, or even before you choose to park on the sidewalk, making it virtually impossible for someone in a wheelchair to get somewhere they need to be, instead of spending the extra ten minutes it takes to find a parking spot, or before you opt to not make your business, classroom, program, or whatever else, accessible for everyone because it requires a little extra work on your end or might cost a bit more. A huge thank you to all of the Shutaf staff and Shutaf participants for the invaluable lessons you have taught me over the last year! I will be sure to share those lessons and I hope you and everyone reading will do the same! In the seven years since Miriam Avraham and I co-founded Shutaf Inclusion Programs in Jerusalem, I’ve marveled at a much-repeated conversation. The rise of the Ruderman Family Foundation in Israel has been one which we’ve followed with pride at Shutaf. 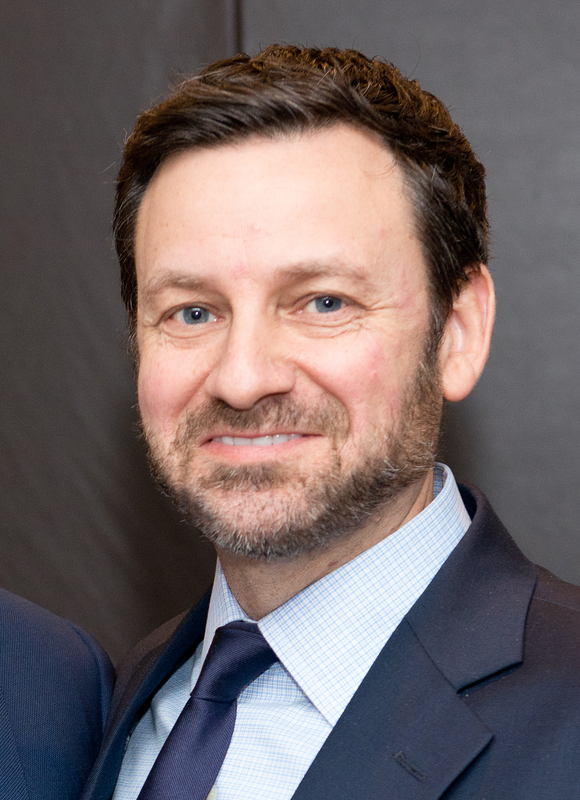 We were fortunate enough to meet Jay in the early years, to introduce Jay and Shira to what we had founded, and to receive Jay’s mentorship and interest as well as three years of the Foundation’s support for vocational activities as part of our Teen Young Leadership Program. Jay’s prodded us to get our message out, to push and push, using social media, blogging and any press we can get, in order to send home the message of inclusion and acceptance as community values. And we’ve worked. Hard. In addition to putting ourselves out there personally in articles and posts that speak of the joys and challenges of parenting a child with a disability, we’ve knocked on many doors. The Jerusalem municipality, the Knesset, along with numerous government agencies, organizations, foundations and potential donors who profess to believe in the need for inclusive programs and the importance of professionalizing and improving existing programs for children and teens with disabilities. We tell people about our innovative and successful year-round inclusion programs for children and teens in Jerusalem. We tell them how many children attend Shutaf programs, more than 150, as well as the types of activities we offer, including our favorite program of all, and the reason we started, summer camp. We share how we’re creating success for all participants and also how we’re struggling to stay afloat financially and find our way to long term sustainability. And we have that conversation. I wonder, when did we become so complacent about something so compelling? So willing to put the cause of equality for every member of the Jewish community in the hands of so few? So willing to see Shutaf and programs like it fail because the funding just didn’t come together in a sustainable way to ensure its future. Doesn’t it matter to all of us? Shouldn’t we all care about this issue? Hasn’t Jay put himself out there enough publicly about the issues, day in and day out? I think so. It’s time to give the guy a break and join him in the fight for inclusion – as a donor, as someone who wishes to be educated about the issues – everywhere, for everyone. If we work together…everything is possible. I’m the mother of a 17 1/2 year old girl with special needs. As I watch Adina’s peers without disabilities graduate from high school this month, going on to mechina or the army, my heart aches. What future awaits my daughter? 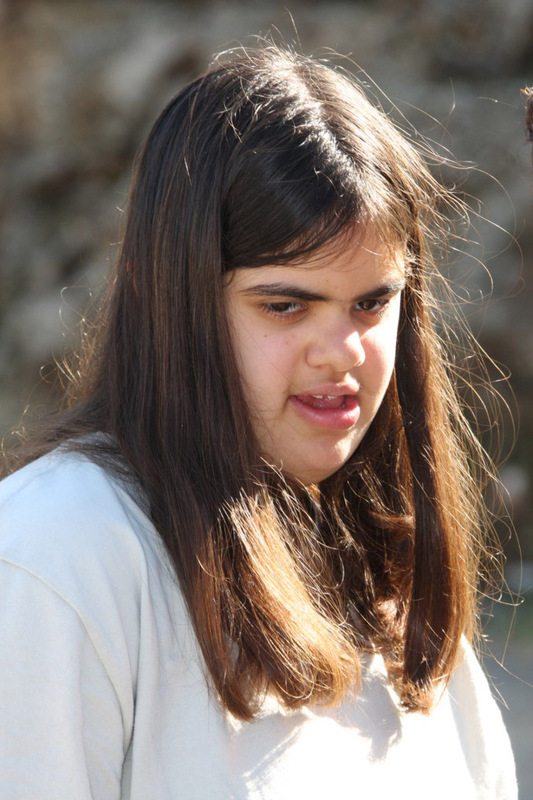 She has another 3 years to go in the Israeli special education system. And then what? Where are her Mechina programs, army options, college track? Adina started out by being individually included in neighborhood preschools and elementary school until fourth grade, when she expressed that she was tired of always being “on the side”. We transferred her to special education – Tidhar – a wonderful school for children with severe learning disabilities, as well as emotional and behavioral issues in Jerusalem. She had three excellent years there. But since then, she hasn’t yet found a place that truly answers her emotional needs. And yet, the bigger question is what happens after the school years? Adina loves to work with babies, horses and dogs – she’s a good worker. Where is the vocational school that will train her to do these jobs, truly believing her capable of hard work and giving her the emotional support she needs to succeed as well as the social framework that a young person craves? Where are the adult education frameworks, and college programs for young adults with special needs, like Adina? Don’t they also deserve to continue their formal education, just like everyone else? Where are the job opportunities for these capable young people? They are part of our society, even if they think or move a bit slower than most of the rest of us. For example, the Jerusalem municipality should have a certain number of places set aside for people with disabilities – cognitive and physical – in its city programs. 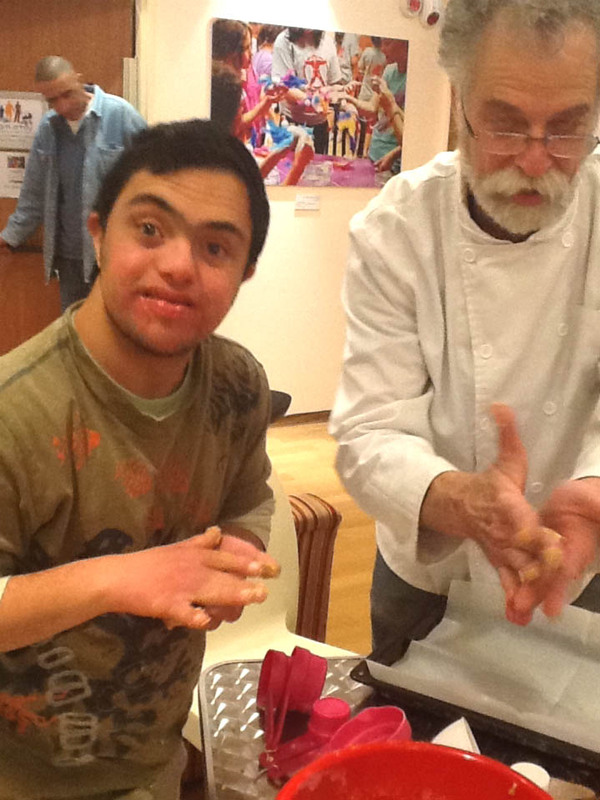 Imagine if the municipality, when planning a complex of discounted studios for artists, set aside a studio or two for artists with special needs. Nobody wants or needs a “Festival Tsamid” – a separate municipal festival for people with disabilities – that just emphasizes difference. It’s condescending, wastes public funds that should be spent on quality services and ultimately and is of no interest to anyone in the broader society. I want opportunities, excellent opportunities for my daughter. I want people to see and really understand what she CAN do and not only focus on her limitations. Stop separating and feeling sorry for the person with cognitive disabilities! Instead, stretch your mind and open your eyes to believe in that person’s abilities and her inherent right to be an integral part of society. That will benefit the person with cognitive disabilities and even more, will strengthen our society. It’s time to think about finding a way to integrate people with cognitive disabilities into every walk of life, naturally. Cafe Aroma does it on a national level. Why can’t the government? It’s not because of limited budgets, it’s because of limited thinking. My first introduction to Shutaf came when Beth Steinberg sat on a panel and for a mere 15 minutes talked about the organization’s inclusive programming for kids with special needs. With warm gestures and wide eyes, Beth really captivated my class of mainly females, who after the panel, all waited like hungry dogs to get her card and hear a little more from this passionate woman from Brooklyn. Now, it’s noteworthy that I often misplace things. With good intention, the most mundane items like my cell phone, get left on the balcony, or hidden in the spice cabinet. Beth’s card, however, I put in my safest zipper compartment, and immediately put it on the fridge when I came home until I could sit down and email Beth. I wanted more Shutaf in my life, wanted to feel for myself the fun, open, and creative atmosphere that comes through from the video that Beth showed us. And, if I could meet the wanna-be John Travolta featured on the video, well… my new life in Jerusalem would be that much more fulfilled. And suddenly, after a probably over-eager e-mail, I found myself on an unknown bus, headed to an undiscovered part of town, to see the real-live Shutaf… all whilst baking cookies with a Canadian-Israeli chef, and five older teens with special needs. A bit nervous? Definitely. Equally excited? Of course. 1. Eating cookie dough is perhaps very Americana (I’d like to be proved wrong), and needs to be carefully marketed to the new bakers. Seeing as this was the first week of a long series of baking classes, I have full confidence that by the end, bowls and spoons will be licked clean. 2. There is no crying, only laughing, over spilled milk and broken eggs. 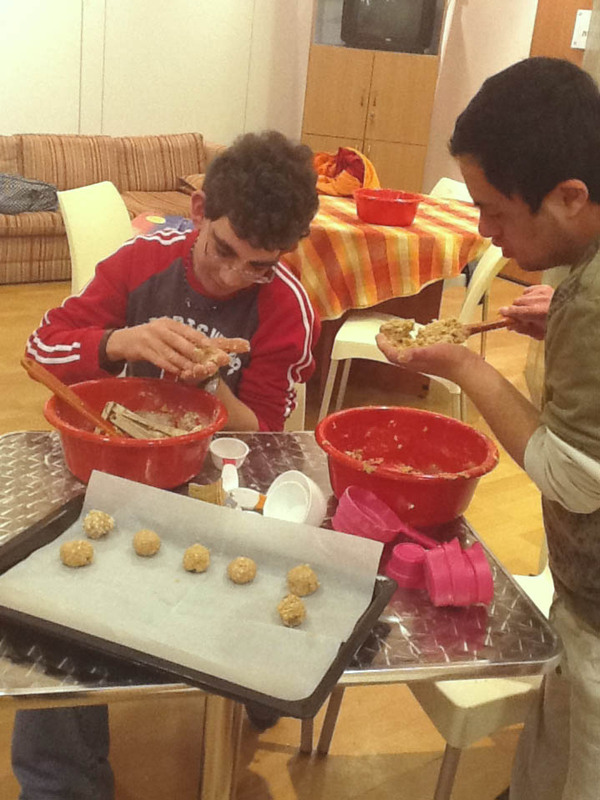 Baking with a room full of teens with special needs is no less messy than my baking by my lonesome, and the results are no less delicious (this week we made oatmeal-raisin cookies, sans raisins for some haters). 3. 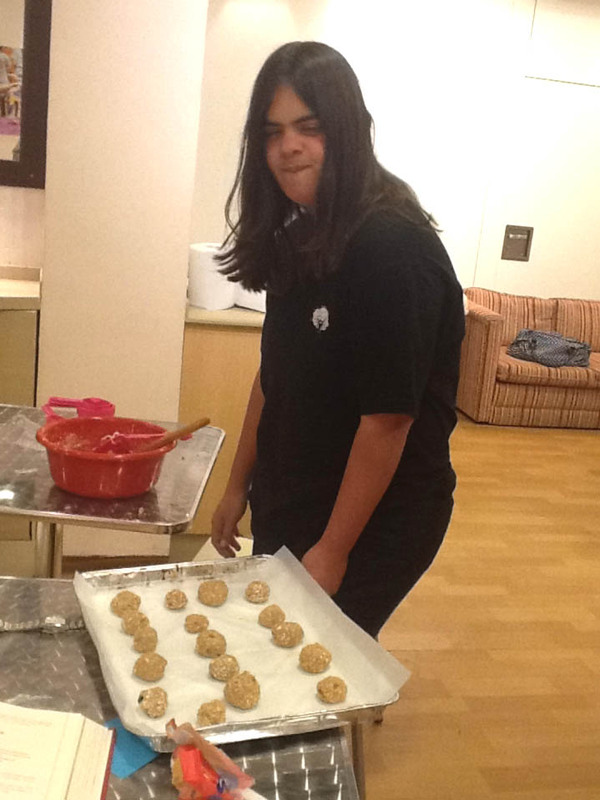 For some, warm cookies are inherently more interesting than the baking process itself; I hope the next class we can learn a bit more on the magic that happens when you mix baking soda with four and sugar, and that the end product is only the result of sweet stirring and purposeful measuring. 4. And last, and probably the take-home theme of the day: Shutaf truly practices inclusion via quality programming. At this first baking class, I was the new girl in a room full of friends… not to mention, the new girl with the .. uhhum.. questionable Hebrew. And yet, by the end, I forgot all about my apprehensions and found myself welcoming a slew of grammar corrections from five funny, opinionated, thoughtful, competent, and soon-to-be master baker teens. I’m so glad I’ve found this little niche with Shutaf. Even though, quite honestly, I don’t know what my niche will fully entail. I do know, though, that if it includes me hanging with wonderful kids, learning more about quality special needs programming, and having weekly access to fresh-baked goods.. well… that’s fine by me and my belly.